One day my grandmother kindly pointed out that I said “like” an awful lot when I spoke. It then became painfully noticeable to the point where it distracted me when I spoke.2 I decided that I sounded like an idiot and made it a point to change. I realized that inserting “like” into my sentences was a bad habit and had to consciously retrain my brain so I could eliminate “like” as a filler word. It took a while, but I did it! Little did I know, I would be utilizing this same retraining-my-brain technique in my quest for making peace with my body. My use of the word “like” was strongly influenced by my environment, and my negative thoughts about my body were no different. I had learned to be cruel to myself early on. Movies, TV, magazines, and peers all told me that I had to look a certain way. Then social media jumped on the bandwagon and that was it. I was surrounded by images of the “ideal” female body. I would read about people hating their bodies and their use of downright mean words to describe themselves infiltrated my brain. Fat. Ugly. Unlovable. Because I was so easily influenced, I assumed that I was supposed to bash my body as a way to encourage myself to obtain that “ideal” feminine figure. Negativity begets negativity, so it spiraled from there. One of my earliest memories was reading in a magazine about someone describing her “thunder thighs”. I then became hyper-focused on the size of my thighs. Though my thighs were far from huge, I started saying that I had “thunder thighs” and begged my grandmother for a Suzanne Somers’ Thighmaster. This was the first of many gadgets and such that I sought out in my search for the perfect body. 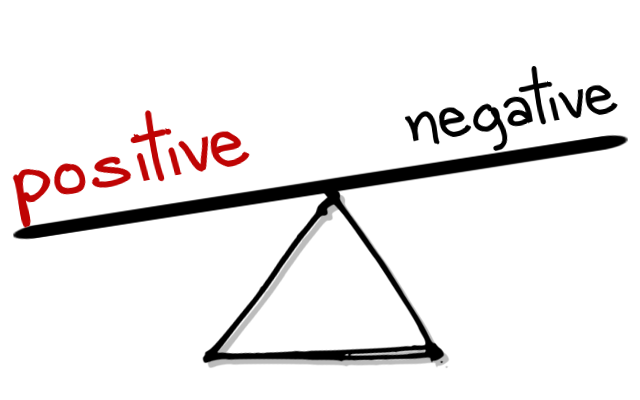 Option#1: For every negative thought, say 3 positive or neutral thoughts. Negative: My hair is too frizzy! Neutral: My hair is black. Positive: My hair has a lot of body to it. People with fine hair pay good money to have hair like mine! Option#2: Directly challenge your negative thoughts with possible alternative thoughts. Negative: If I eat this yummy-looking piece of cake, I’ll get fat! Alternative Thought #1: I am hungry, so I will honor my hunger and eat. Alternative Thought #2: I will be satisfied after I eat the piece of cake. Alternative Thought #3: The cake looks good, but it might not taste as good as it looks. Though my mind isn’t 100% free of negative thoughts, it’s not my automatic reaction when I think about my body anymore. This is not something that was easy or quick, but I feel the most comfortable, confident, and content with who I am now than ever before. Write a positive or a neutral comment about yourself in the comment section below! 2It’s like when someone brings up how often humans blink per minute, and then all you can think about is how much you are blinking! 3I know, easier said than done, but bear with me here! 4Think about “The Three Little Pigs, “Three Blind Mice”, or the three ghosts in “A Christmas Carol”. It wouldn’t be the same if there were 2 or 4, right? 5Just ask my husband. When he shaves his head, he is constantly cold! 6Check out Mirror, Mirror for a play-by-play of my personal experience with this! Did I Just Refuse a Donut?